There's a new hope for switchers as the force of free cash bonuses has awakened after a lull. It all began two weeks ago in a galaxy not too far away when NatWest launched the biggest free cash combo in 18mths, as we told you then. But competition has now hit hyperdrive as customer service master First Direct struck back last week by boosting its free cash bonus. And only yesterday, NatWest's sister bank RBS joined it with the same deal. 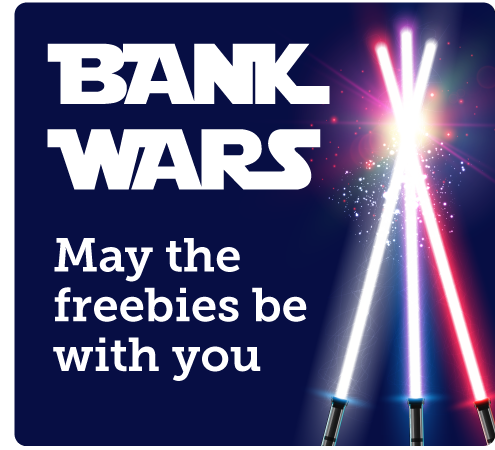 So if your bank has moved to the dark side or you just want the freebies, now's a good time to join the rebellion and switch, as these may well be the deals you've been looking for (sorry if that's Obi-Wan too many Star Wars puns). Switching is quick, easy & safe. It takes 7 working days & the new bank moves all payments (incl direct debits) & closes your old account. If anything goes wrong, you're protected (see Q&A below). You must pass a not-too-harsh credit check. You must use the banks' official switching services to get the perks. New. RBS & NatWest: Free £175 to switch & stay + 2% back on bills. Top cash bonus. RBS & NatWest now pay new switchers £125 on most accounts, plus £50 more if you're still with them in June 2020. - Top account if you're a bill-payer (incl joint bills accounts). The standouts are RBS Reward* or NatWest Reward* which, for a £2/mth fee, give 2% cashback on most bills (eg, energy, phone) paid by direct debit. On average it's worth £60/yr after the fee - but some earn £100+/yr. So all-in with the free cash you could bag £250+. - Top if you don't pay bills or don't want to pay a fee. Don't bother paying £2/mth - instead you can get the £175 but no cashback by switching to the fee-free RBS Select* or NatWest Select* accounts. - How do I qualify? For the £175, switch, pay in £1,500+ and log in online by 12 Jul (NatWest) or 2 Aug (RBS). Then use your debit card at least once a month. For the cashback, pay in at least £1,500/mth (which is just a way to make you pay in a salary of £21,500+/yr). See full NatWest/RBS help. New. First Direct: Free £125 + strong service + access to 5% reg saver. Best if service is key. New customers applying via this First Direct link* get £125 when they switch (only £100 if you go direct). It also scores superbly for service, with 90% of its customers rating it 'great' in our latest poll. Plus you get access to a 5% regular savings account that allows you to save up to £300/mth for 1yr. Many also get a £250 0% overdraft. How do I qualify? Pay in £1,000/mth (equiv to a £12,500+/yr salary) or there's a £10/mth fee after 6mths. Full info in our First Direct review. Free £100 M&S voucher with NO min pay-in (+ £80 vch after 1yr if you pay in £1,250/mth). Good for M&S shoppers. Newbies who open an M&S Bank* account can get the vouchers and access to its 5% regular saver, which lets you save up to £250/mth for 1yr. - How do I qualify? To get the £100, within 3mths of opening you must switch incl 4+ active direct debits. For the £80, you must keep the direct debits active, register for online banking and statements, as well as making the min pay-in. - Got an M&S credit card? You get a £120 vch in 1yr instead of £80. Halifax: Free £50 upfront + £85 after 6mths + £2/mth (£159 in year one). Good for quick cash. 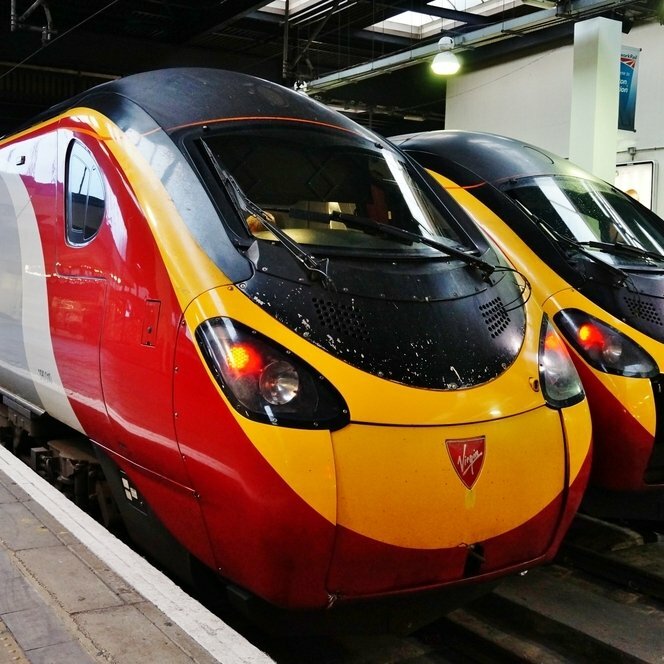 Halifax pays newbies £50 before the switch completes, then the rest as above. - How do I qualify? To get it all, switch then pay in £1,500+/mth (equiv to a £21,500/yr salary). Plus, use your debit card at least once in the first 6mths, pay out 2+ direct debits each month, go paperless and remain in credit. Full info in our Halifax review. Full eligibility on these accounts + more help in Best Bank Accounts. Q. What are the best deals if I need an overdraft? 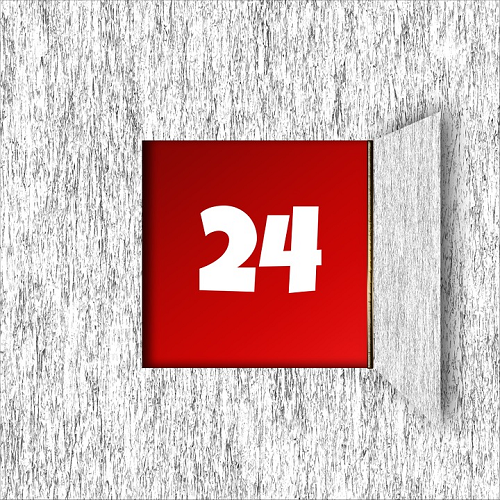 The First Direct* deal above gives many a £250 0% overdraft - a useful buffer if you often slip into the red. Alternatively, Nationwide's FlexDirect* gives a year's 0% overdraft. There's no set limit - it depends on a credit check. If you get it, use the year to clear the overdraft, as after you're charged 50p/day if overdrawn by between £10 and your limit (£180ish/yr if permanently overdrawn). Get more help in our top overdrafts section. Q. What about monthly fee accounts that give insurance? You can get up to £500 of mobile, travel and breakdown cover for £156/yr - a good deal IF you need the cover. Full info in Packaged Bank Accounts. Q. Can I cheat the minimum pay-in? Usually, yes. Say the pay-in is £1,000 but you only have £500 coming in, pay in the £500, withdraw, then pay it back in, and BINGO. It must all come from an external account, however. Q. What if something goes wrong with the switch? The bots behind the scenes sort it, so for at least 3yrs any money paid into the old account or wrongly earmarked to come out of it is transferred to the new one. If you're hit with charges due to a switch error that leads to a missed payment, this should be refunded by the new bank. Q. I don't qualify for one of these accounts, what can I do? Sadly, 1m+ don't have a bank account. Yet if you've ID, you can get an account where there's no overdraft, called a basic bank account. - Should you get a loan? We're not suggesting you rush in. Only apply if you NEED one (eg, your car is a wreck), it's budgeted for and is affordable. If in doubt, don't risk it. If struggling with debt, ignore all this and read our Debt Help guide. - Will you be accepted? Use our Loans Eligibility Calculator to check your chances without hitting your creditworthiness. - Rates are 'representative'. Sadly, ONLY 51% of those accepted need to get the advertised rate - others can pay more. Lowest rates from £3,000-£15,000. M&S's market-leading 2.8% loan ends shortly but you can only borrow at this rate for 1-3yrs. Others below allow longer and aren't scheduled to end just yet. A shorter deal is cheaper as you pay less interest overall, but monthly payments are higher. So you need to weigh the two options up. Here are the top picks - all 1-5yrs, unless stated (and all representative APR). - £7,500-£15,000: Ends 9am Thu: M&S Bank* at 2.8% (1-3yrs). Another M&S Bank* loan is 2.9% (4-7yrs), while Yorkshire Bank* (1-7yrs) and Admiral* are also 2.9%. - £5,000-£7,499: Zopa* is 3.3%, Admiral* 3.4%. - £3,000-£4,999: Admiral* is 6.4%, Zopa* 6.5%. Lowest sub-£3,000 rates. Before we talk about loans, it's important to understand that a 0% money transfer credit card is likely to be cheaper. Here, you get a card to pay cash into your bank, so you owe it instead - and you can get the 0% period to last up to 28mths, for a 3-4% fee of the amount shifted. Cards tend to win at this level as the fees are usually less than loan interest. 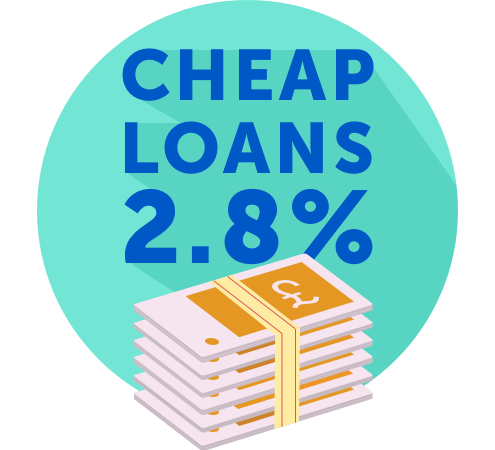 But if a loan works better for you (eg, you need longer to clear it), here are the top deals. All for 1-5yrs (and all rep APR). 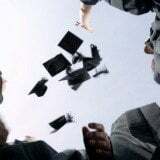 - £2,000-£2,999: Zopa* is 12.9%, Admiral* 13.2%. - £1,000-£1,999: Admiral* is 13.2%, Santander 13.5%. Loan Golden Rules. Full info and options in Cheap Personal Loans (APR Examples). a) Minimise the amount and repay as quickly as possible. b) Pay on time (preferably by direct debit) or you may get a charge and credit black mark. c) If you're applying to pay off credit cards, a balance transfer may be cheaper. New. British Gas energy tariff now cheaper - save £300/yr (with improved 'free' 1yr boiler & homecare insurance - but beware, it auto-renews). It was already cheapest of the Big 6 firms, and last week BG cut the price of its cheapest tariff for a second time this month and improved the insurance many get with it. It's a no-brainer if you're loyal to BG, but you can't call and ask for it. It's only available on comparison sites, incl via our British Gas Energy Plus Protection Green May 2020 link where you get £25 dual-fuel cashback. IMPORTANT: The insurance auto-renews at £12/mth-ish after the first year even if you switch energy, but you can cancel it any time. 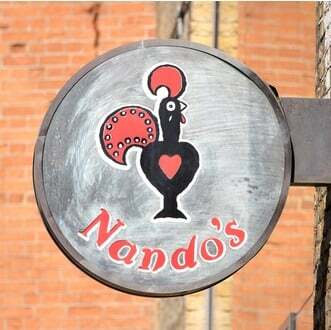 Nando's hacks, incl how to bag freebies, £5 off a meal for 2. Nando's recently revealed there are 1.8m unclaimed loyalty card rewards, so we thought it time to reheat our 12 cheeky Nando's hacks, incl how to find those lost freebies. Premium Bond alert - £61m unclaimed, incl £8m of prizes where the cheque was lost in the post. Are you owed? There's a staggering amount unclaimed and new figures we've uncovered show that among the total, 180,000 cheques going back to the 1950s were sent but never arrived. Find how to reclaim Premium Bond prizes. One year's 2for1 cinema tickets and meals for £1ish, incl the new Avengers: Endgame. See our updated cinema trick. New Ryanair luggage checker - is it any good? Its app now measures your bag, supposedly to help you obey its strict luggage rules, so we put Ryanair's luggage tool to the test. 'Comping', as it's known, can be fun and rewarding - and while you shouldn't see it as a surefire way to make money, we see many big-cash, gadget or holiday wins, such as MSE forumite pate-ci0's: "I entered a radio competition using a free web form and got a call to say I'd won £23,800 - money was in bank within 24 hours. Major shock and it's changed my prospects. Amazing." We've 41 comping tips - here are a few for starters. 100s of competitions in one place. You don't have to hunt 'em out - compers post hundreds of contests, share secrets and cheer the winners on our MSE comping forum board. So you don't spoil it for others, it's best to only enter those where the prize really appeals. Plus, to help you track which ones you've entered (as duplicate entries can disqualify you), if logged into the forum you can mark a post containing competition info by clicking the green tick at the bottom, so if you come back you'll know. Turbo-charge your entries. 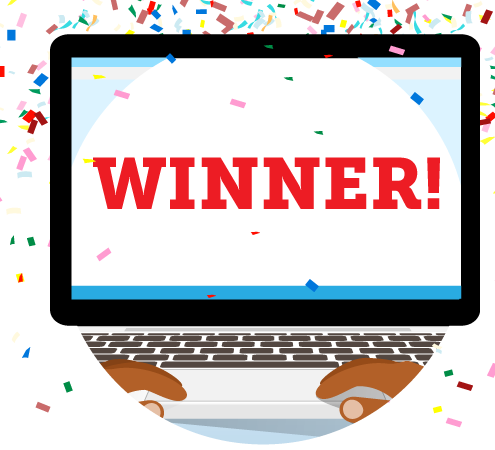 Enter as many competitions as possible by using an auto form-filler, speedily opening multiple links and customising your keyboard. Snap up prizes on social media. You'll find loads of competitions on Facebook and Twitter, but it's worth searching Instagram and Pinterest too, as forumites reckon these get fewer entries. Can you bag a TV game-show windfall? MSE Jordon went home from one show with £1,000. See our top tips to find shows you've the best chance of getting on. Dodge the inevitable spam. Companies set up competitions to get your email or phone number. See how to avoid overloading your inbox/phone. 'I bagged £600 business-class tix to Malaysia via bargain-flight finder.' Jack's Flight Club is a service that alerts you to flight sales such as business for the price of economy. And we've heard of other successes too. Basic membership's free, and while its premium service that gives more deals is usually £35/yr, we've blagged 2,000 free trials. Cheap Easter eggs, incl 16p Creme Eggs, £1.50 large Mars egg - can you find 'em? Shops try to flog unsold chocs immediately after Easter, so we've hunted out the cracking bargains. Ends Sun. Cheap Virgin Sims with decent data - 2GB for £6/mth, 10GB for £10/mth. Newbies to Virgin Mobile (on EE's network) can get 2GB + 1,000 mins for £6/mth* or 10GB + 5,000 mins for £10/mth*, both with unlimited texts on a 1yr contract. Full details and more deals in Top Sims. Six bottles of wine + two glasses £30 deliv (norm £70+). MSE Blagged. 1,500 cases avail, for Virgin Wines newbies. Please be Drinkaware. FREE pizza, burgers, champers etc if you're running the London Marathon. Celebrate crossing the finish line in style this Sunday with a tasty selection of 20+ London Marathon freebies. 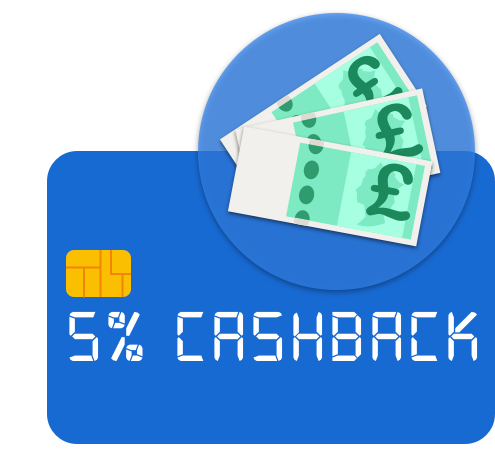 - Only get a cashback card if you'll pay it off IN FULL each month (preferably by direct debit) or interest dwarfs the gain. - Never take out cash on one as it's expensive and you won't get the cashback on withdrawals. - To max the gain, use the card for all normal spending (instead of a debit card), but it's NOT an excuse to overspend. - Don't just apply in hope - that marks your credit file. First use our eligibility calc to find cards you're most likely to get. Top cashback credit cards - earn a huge 5% for 3mths. The fee-free Amex Platinum Everyday card (eligibility calc / apply*) pays 5% for 3mths (max £100), then up to 1%. Spend £10k+/yr? Then the £25/yr Amex Platinum card (eligibility calc / apply*) wins. It pays 5% (max £125) for 3mths, then up to 1.25%. Pay them off IN FULL each month to avoid 22.9% or 28.2% rep APR interest. As the main gain comes in the opening months they're ideal if you've a big upcoming spend planned. Note: Amex isn't accepted everywhere so you may not get cashback on all spending. Top non-Amex card. This Tandem card (apply) pays 0.5% on all purchases. 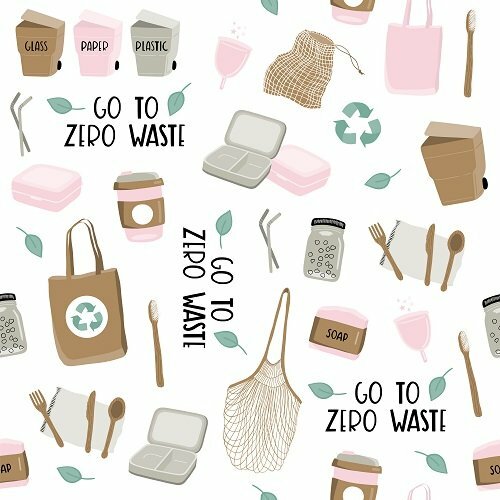 As it's a Mastercard it's accepted virtually everywhere that takes plastic, though to apply, you must download the Tandem app for iOS or Android. Ensure you repay IN FULL each month to avoid the 18.9% rep APR interest. More cashback and reward cards, incl airline points or spending bonuses at Sainsbury's, M&S and John Lewis. Full help in Top Cashback and Reward Cards (APR Examples). "Following your guidance we've now received a £2,400 refund, covering the last seven years, for a council tax rebanding. Very simple, no hassle, band changed from 'F' to 'E'. Great result." How often do you use cash? For some, the days of keeping cash in their pockets are long gone. Contactless cards especially mean many transactions can just be done with a 'beep'. So we wanted to check who's still using cash. Are you part of the cashless society? Older people are more likely to be better off than their parents at the same age. Last week, we asked whether you're financially better off than your parents were when they were your age. Over 10,000 responded - 85% of those aged 65+ said they were better off than their parents were, compared with just 48% of under-25s. See full poll results. - Family, marriage, relationships chat: What can I do with my ex-girlfriend's stuff? - Discussion of the week: Lending mum money rather than equity release? - Ryanair's new bag checker - does it really help you obey its strict luggage rules? 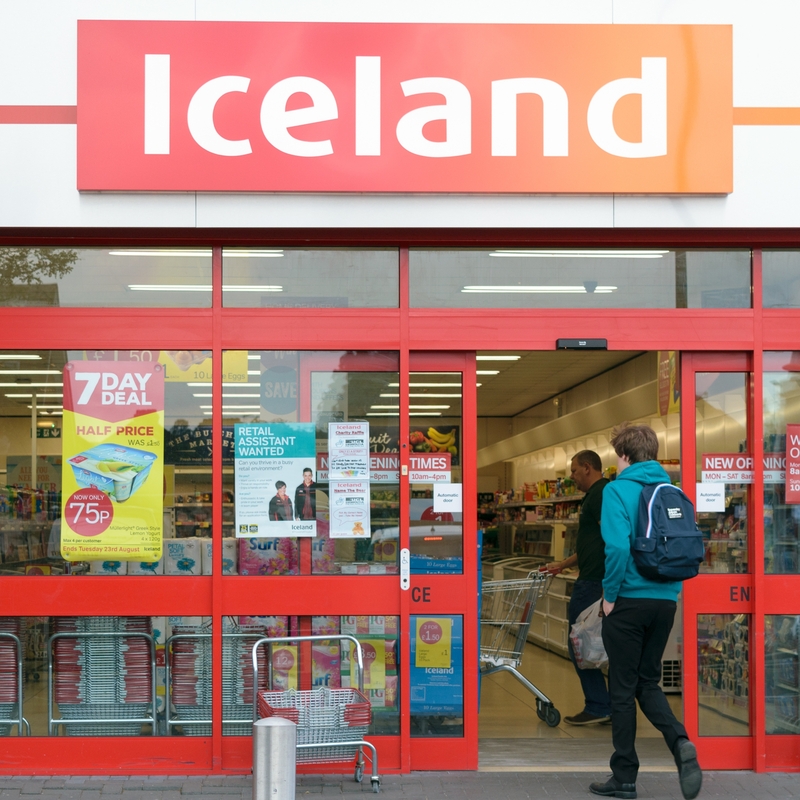 - Cheap Easter eggs, incl 16p Creme Eggs, £1.50 large Mars egg - can you find 'em? Q: I want to switch my energy, but I've not heard of half the suppliers. Is it safe, given I know some small firms have recently gone bust? Paul, by email. MSE Andrew's A: Seeing small firms at the top of a comparison list is one of the biggest switching turn-offs we hear. Yet if you're worried by this, just scroll down till you see a firm you're comfortable with or use our big name Cheap Energy Club comparison to get the best deals from the biggies only. You're right that some small firms have gone bust recently, while some have appalling service. Though not all are bad and we give feedback in our Cheap Energy Club on them where we have it. However, even if your firm goes bust you are protected, as energy regulator Ofgem has 'safety net' rules. These mean you won't lose your gas and electricity supply if your provider fails, and any credit you have with it is protected. That's all for this week, but before we go... MSE Kirsty found a chipped mug in the office cupboard and a debate has been brewing about what she should do with it, in the office and on our Facebook page. It's clear this is many people's cup of tea as that social media thread has had hundreds of comments, with many thinking up novel ways to save the mug, including tying a ribbon to hide the fracture. Have your say and join the debate to save our mug.